Place: Ubud, Bali – INDONESIA. 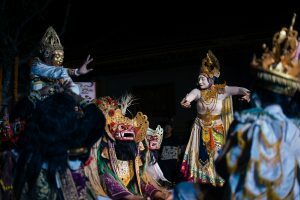 15 years ago, when Indonesia was suffering after the Bali bombing in 2002 and the lingering Asian financial crisis, the firstUbud Writers & Readers Festival (UWRF) drew tourists back to the island by showcasing the nation’s diverse beauty through literature and art. 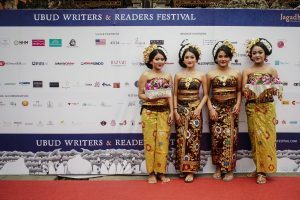 Since then, the UWRF has evolved into Indonesia’s biggest platform for its writers and artists, and one of the world’s best-loved literary events. 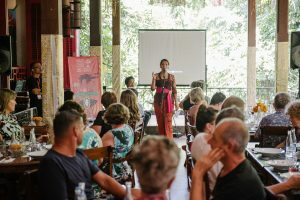 From Indonesia to Japan, Nigeria to Pakistan, Spain to Vietnam, more than 180 authors, artists and activists from across the archipelago and 30 other countries have converged in Ubud for the Festival’s milestone year. Over the next five days, the UWRF will deliver more than 200 events across 30 venues, spanning open-air panel discussions, in conversations, special events, live music, poetry slams, Indonesian film screenings, cultural tours, book launches, art exhibitions and more. The Main Program’s 70 one-on-one and panel discussions promise a world of extraordinary stories, diverse perspectives and deep dives into the region’s most pressing issues, from feminism to the environment, religion to freedom of expression, immigration to Indonesia’s 2019 presidential election. Featuring the Festival’s most acclaimed authors, award-winning journalists and political mavericks, there in conversation series includes eminent British writer, Hanif Kureishi, twice Miles Franklin winner, Kim Scott, Australia’s former president of the Human Rights Commission, Gillian Triggs, celebrated author and essayist, Geoff Dyer, Indonesia’s Minister of Maritime Affairs and Fisheries, Susi Pudjiastuti, and former Foreign Minister, Marty Natalegawa, bestselling author Fatima Bhutto, and one of Italy’s most popular writers working today, Giuseppe Catozzella. Founder & Director Janet DeNeefe. 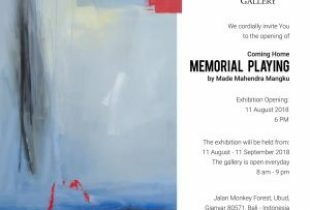 Audiences will hear how the #MeToo movement has impacted Asia; the region’s finest foreign correspondents will share their career-defining highs and lows; Indonesian writers will weigh in on what has and hasn’t changed during the 20 years since Reformasi was ushered in; and Balinese artists will examine their island after a century of tourism. 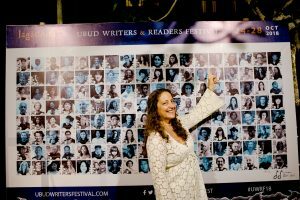 “As we reflect on the last 15 years and on how the Festival has evolved, as we look back on all the meaningful exchanges that have been made between Indonesian and international writers and readers, there is one thing that is clear. Most visitors in the early days said they knew nothing about Indonesian writers, but this has now changed. 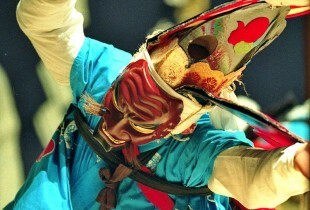 People are now sitting up and taking notice,” DeNeefe continued. 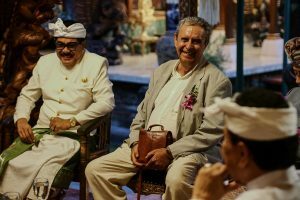 “One of the world’s biggest publishers, Penguin Random House, has just announced its expansion into Southeast Asia, meaning many more Indonesian writers will be read around the world. 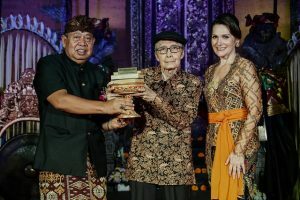 This heralds a new era for Indonesian fiction and nonfiction, and after 15 years of sharing Indonesian literature and culture with the world, we feel we’ve had an important role to play in that. I look forward to celebrating this exciting new era and our milestone year with you all over the next five days,” DeNeefe concluded.